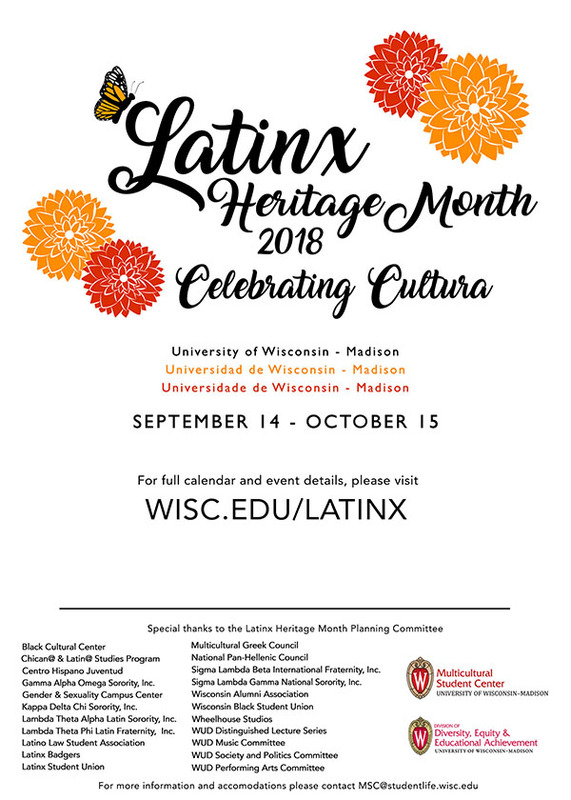 The University of Wisconsin is hosting numerous events in honor of the annual Latinx Heritage Month 2018 which begins Friday, Sept. 14th. The goal is to acknowledge the importance of pride among Latinx students as well as educate the remaining UW community on cultural awareness. The Multicultural Student Center (MSC) is leading most of the month’s events in collaboration with the Division of Diversity, Equity & Educational Achievement. 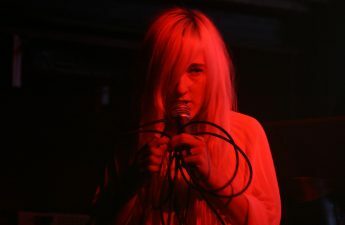 Several student organizations such as the Latinx Student Union, the Latinx Badgers and the Gender & Sexuality Campus Center are involved as well. Fostering a more inclusive campus climate through representation, UW’s Latinx Heritage Month aims to be an educational celebration. The free events range from networking with Latinx faculty in academia to various craft workshops and community discussions and gatherings. Friday, the Latinx Heritage Month Kick-Off begins with a march on Bascom Hill. Latinx students will have the opportunity to represent their country of origin at the university by climbing up the heart of campus with the various flags of Latin American countries. Marchers meet at the bottom of Bascom Hill at 4:30 p.m. to obtain a flag. Following the march, the Wisconsin Black Student Union, the Black Cultural Center, National Pan-Hellenic Council and the Multicultural Greek Council are hosting a cookout for Melanin Fest at Library Mall starting at 5 p.m.
Resuming Monday, Sept. 17th, the MSC invites Latinx students to present their country for Crafting Cultura in the Multicultural Student Classroom at the Red Gym from 5 p.m. until 10 p.m.
Cultura Night will present a variety of Latinx cultures as students host booths from different Latin American countries Wednesday, Sept. 19 at the MSC Lounge in the Red Gym at 6 p.m. The MSC suggests Latinx students show up in their cultural attire and bring friends. On Thursday, Sept. 20, the MSC is collaborating with Centro Hispano, an organization involving Madison Latinx youth, to make crafts like Mexican piñatas, Guatemalan kites and panpipes at the MSC Lounge at 4 p.m.
To kick off another weekend of events, the Memorial Union Terrace is hosting DJ Persist for a night of Latin music in collaboration with Lambdas and WUD Music. Fiesta en la Terraza begins at 9 p.m. and wraps up around 12 a.m.
On Tuesday, Oct. 2, at the AT&T Lounge at the Pyle Center at 7 p.m., you can hear Sonia Nazario, an award-winning journal and author, speak about her stories. Authors Andrea-Teresa Arenas and Eloisa Gomez will also be visiting Madison for a presentation, discussion and book signing. 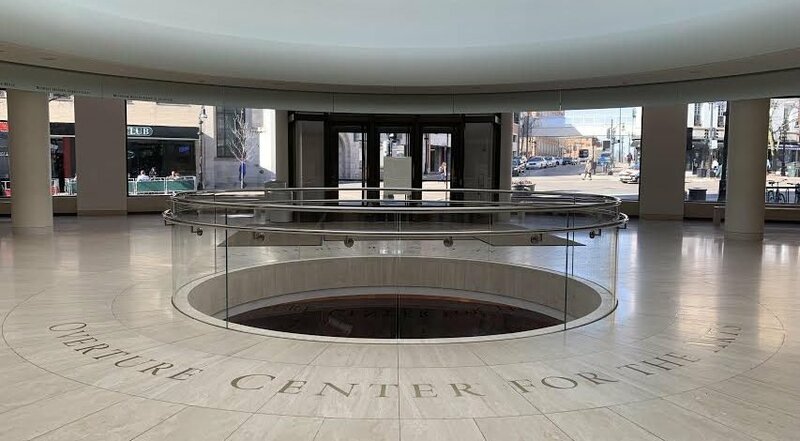 The Latino Law Student Association (LLSA) plans to bring a panel full of immigration attorneys and law students to discuss issues within the immigration system. The Latinx Student Union will host their annual Latinx Ball on Friday, Oct. 12 to end the month’s festivities. The event recognizes student and staff accomplishments in the Latinx community with a dinner and a dance at the Pyle Center at 6 p.m.
For the final event, students are invited to network with Latinx faculty at the university and ask questions of Latinx individuals in academia. Sponsored by WUD Society and Politics, this event is at the Festival Room in Memorial Union at 6 p.m. Monday, Oct. 15. A full list of events can be found at wisc.edu/latinx. For any questions or more information, email [email protected] or call (608)262-4503.